There is a wealth of good information available on how to get a business loan for a restaurant or bar. Knowledge is power (and profits). Anyone who aspires to open a restaurant or bar is in good company for sure. Worldwide, there are approximately 15 million thriving restaurants that rake in hundreds of billions of dollars annually. By some investment company accounts, bars and taverns in the U.S. alone grabbed $24 billion in 2015. By most accounts, banks hesitate to approve small business loans to people who have not yet opened their establishment. The bar and tavern industry does present some risks in the form of alcohol permits and various liabilities. In addition, it can take several years for bars to turn a profit. That said, the truth is that everyday bars open their doors to happy customers all over the globe because their owners were successful in obtaining the business loans they needed. Bars or taverns that also serve food seem to get conventional business loans more easily in some locations. And although restaurants also come with liabilities such as food poisoning and customer injury due to slip and falls, the figures above speak the real truth. Millions of people regularly go out to relax and have a meal and drink away from home, so it is not impossible to get funding for a bar or restaurant. Any type of business comes with risks of some form or another; approval for a business loan starts with advance preparation. The main point to remember when preparing to get a business loan for a restaurant or bar is to ensure that these three items are presented well: 1) the borrower, 2) the business and 3) the financial need. This is done by having an excellent loan proposal or business plan in writing ready to present at the meeting. If possible, it helps to contact a potential small business lender to find out if they have a preferred format for the proposal. An executive summary describing the borrower, his or her business background, and the plan for the new venture. 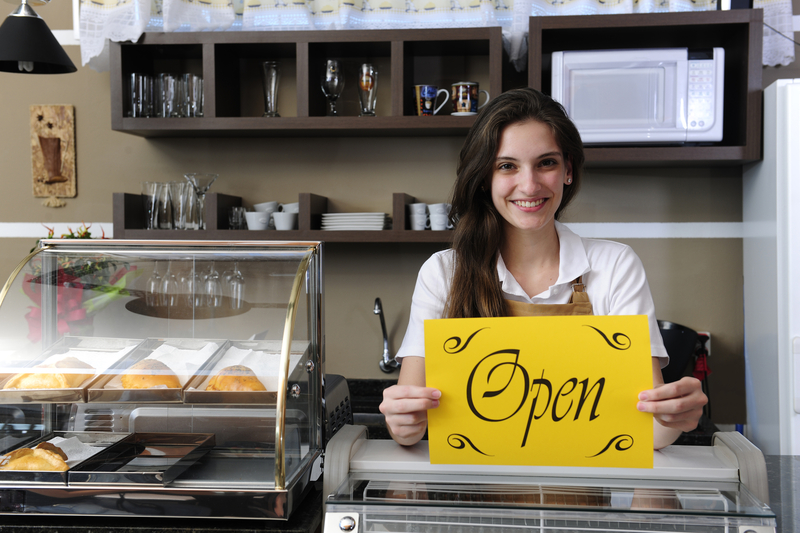 If the business loan is for an existing restaurant or bar, a business profile should be included. The specific experience and qualifications of the management team and owners of an existing business. If anyone has previous experience running a restaurant or bar, it should be included in the business plan to show the lender. The actual loan request and specifics on how it will be spent (supplies, building, etc.). A list of any collateral that can be used as security. The amount of money the borrower is able to invest in the business (equity investment). The more money the borrower has of his own to invest, the better chances of approval. Income statement for 3 years if an established business or projected balance sheet for a new business. Income projection for a year with a plan to adjust if unable to reach the projections. In addition to the business plan, borrowers will want to have other documents ready like partnership agreements, licenses or leases, if available. As with all types of loans, ordering a credit report ahead of time will avoid any unpleasant surprises when the borrower sits before the lender. A high personal credit score increases the chances of a business loan approval. It is important to secure the specific financing needed for a restaurant or bar. The type of business loan needed will depend upon the establishment and whether it is brand new or the borrower is taking over an existing business. Also, not all small business lenders offer the same loans. Working capital loan. This type of short term business loan works for restaurant and bar owners to have cash on hand to cover daily operations. Equipment loan. This loan is essential to maintain state-of-the-art equipment like refrigerators, stoves, and bar equipment to stay on top of the competition. The equipment itself is collateral for the loan. Lines of credit. A credit line is a convenient and flexible option for restaurateurs and bar owners because it gives them a revolving source of cash they can access when needed, like during peak seasons or special events. Inventory financing. This short or medium-term loan is approved specifically for purchase of inventory, such as food and liquor, unlike equipment loans. A grant is a funding source that does not have to be repaid. Grants are often offered to specific groups of people or those with certain situations. For instance, women, minorities, distinct locations, or certain industries can be candidates for grants. Grants have been awarded to open restaurants and bars on a case by case basis. Because grants are usually provided by government entities, application requires following a long and sometimes lengthy process. Additionally, severe penalties can be imposed if the money is not used for the intended purpose. In the United States, The Small Business Association (SBA) is one of the main sources to offer grants and other resources. The Canadian government also provides a wide variety of funding in the form of grants and loans to small business owners. A search for small business grants will result in a list of places to apply in most countries. Some restaurant and bar owner hopefuls may prefer (or need) to get a business loan from a lender other than a traditional bank. There are literally thousands of unconventional lenders that are willing to supply cash needed for start-ups and established businesses. While some of these operate in brick and mortar locations, the majority do business on the Internet. Other optional financing may mean getting a business loan from friends, colleagues or family to open a bar or restaurant. Crowdfunding, though not considered a business loan, is another way to get backers to provide money to start a business. But whether using traditional or other financing, there is no such thing as too much careful research about the lender before doing business. Eating, drinking, and being merry are among the top forms of entertainment for adults of all ages, as evidenced by the billions in revenue generated by these activities. For the determined entrepreneur who needs a business loan to get a chunk of the profits made from this industry, where there’s a will there’s a way.